See anything you like in that Nintendo release list from yesterday? Yeeeaaahhh...no. Of particular disappointment was Nintendo's first-party lineup, but then like all dark clouds, even that has a silver lining. Where? You've got to dig a little. Head down past the Wii and to Nintendo's first-party DS release list. There you'll see a game called The Legendary Starfy, due on June 8. Never heard of it? 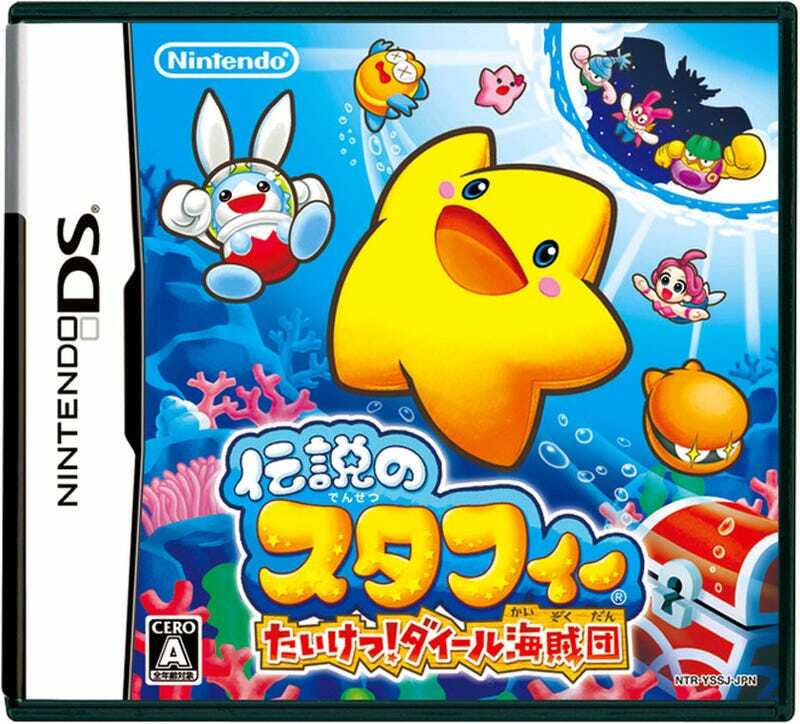 That's because the Starfy series, which has been running in Japan for around six to seven years now, has never made an appearance in the West. Obviously, it is now. And while in Japan it's pitched at kids, take a look at this clip from Densetsu no Starfy Taiketsu! Daiiru Kaizokudan (or Legendary Starfy Confrontation! Dire Pirate Squad), the last DS game in the series (it began on the Game Boy Advance) out in Japan and presumably the title due for release in the West. Put aside your cynicism for both Nintendo and kid's stuff for a minute and just watch the trailer...it looks kinda great, doesn't it? Doesn't it? After all, this is just the kind of thing people normally squeal "why can't we get this in America? ", etc etc.